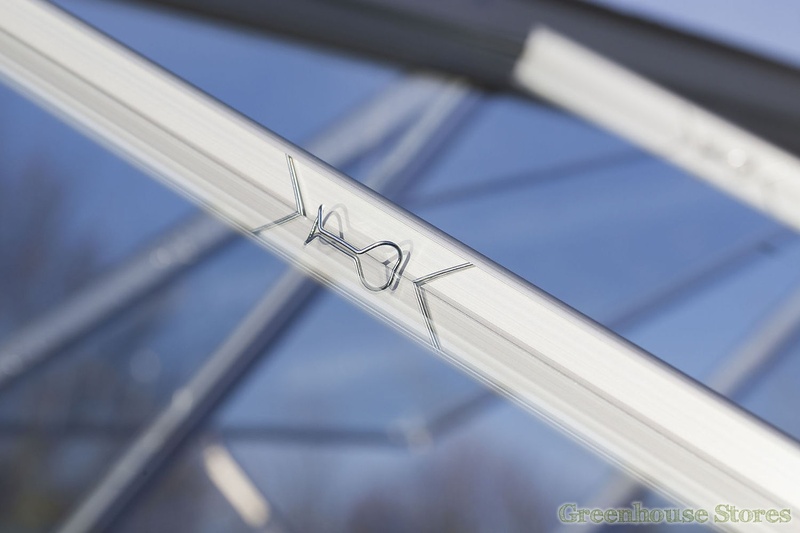 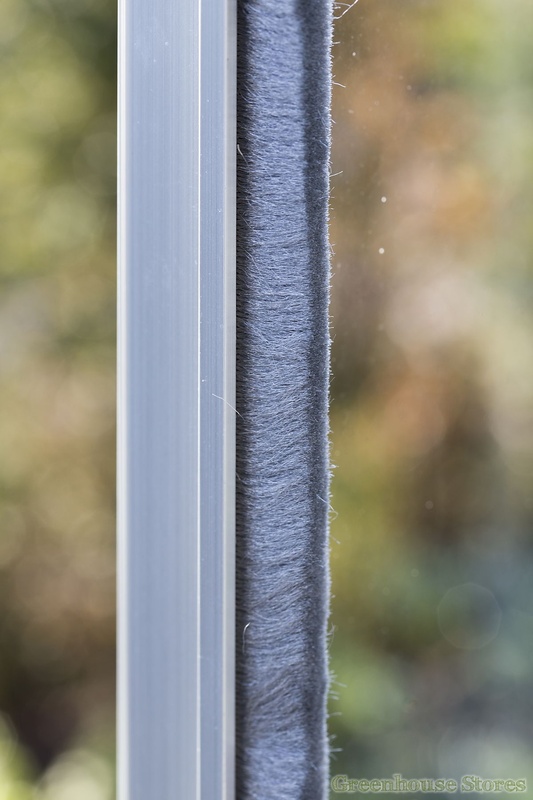 3mm Horticultural Glazing (610x610mm Panes).. 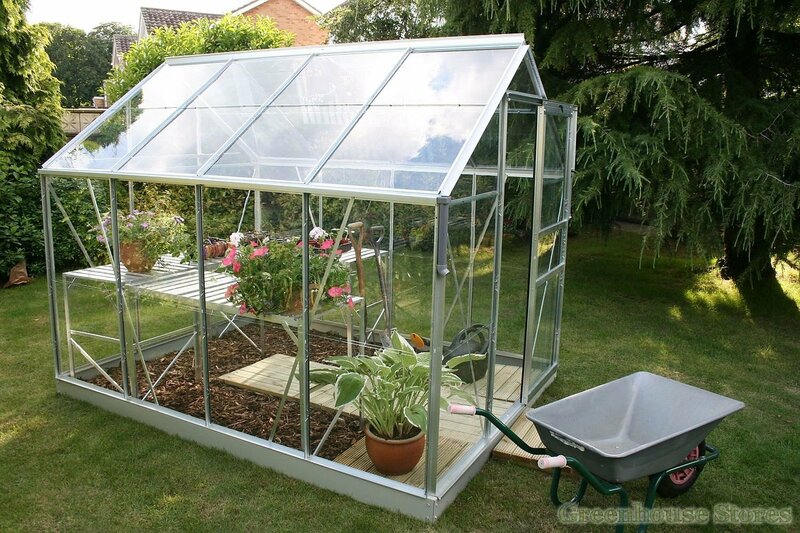 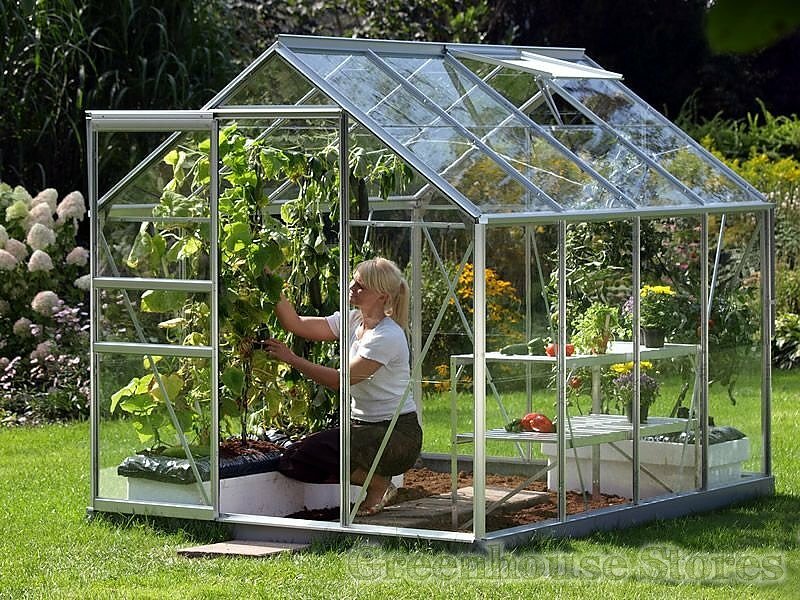 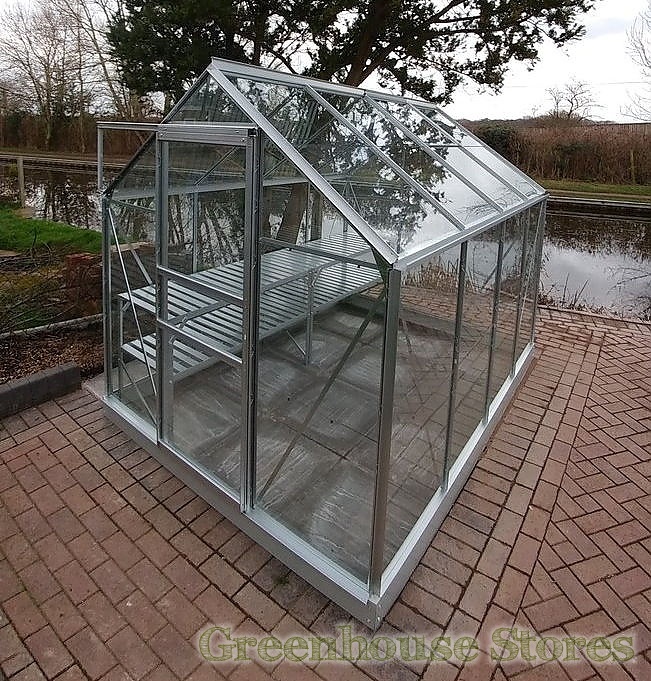 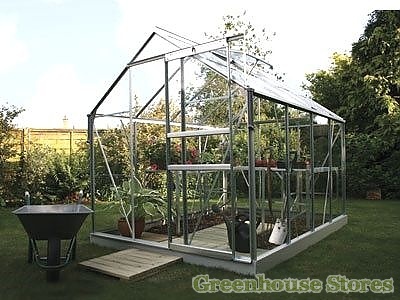 The 6x6 Vitavia Venus 3800 is a great value, long lasting small greenhouse at home in your garden or on the allotment. 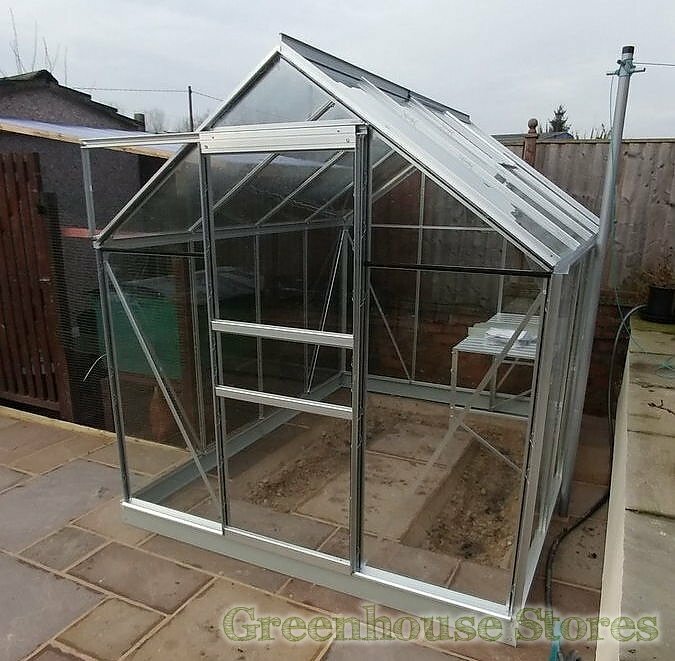 If you're looking for a solid little greenhouse that does what it says on the tin, then you simply can't go wrong with a Venus ! 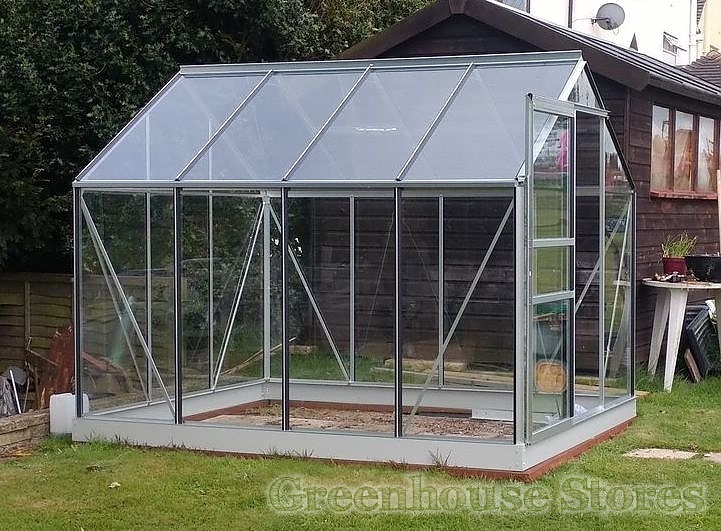 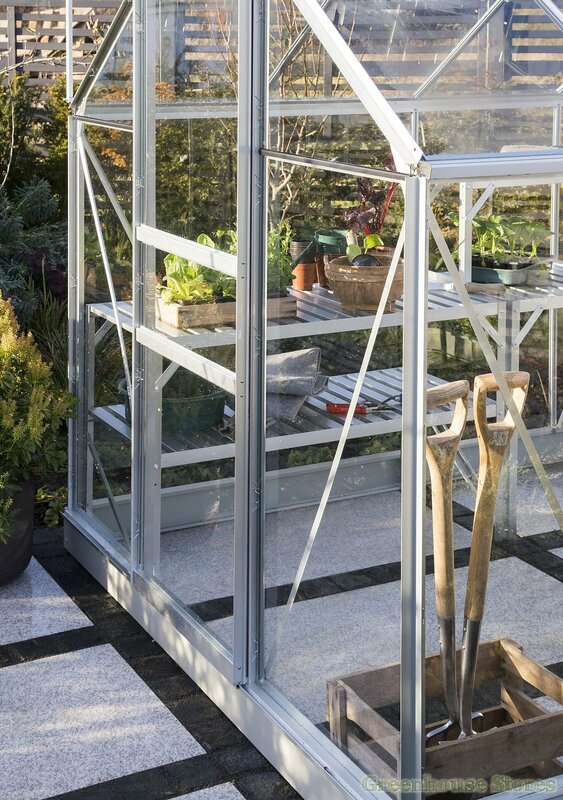 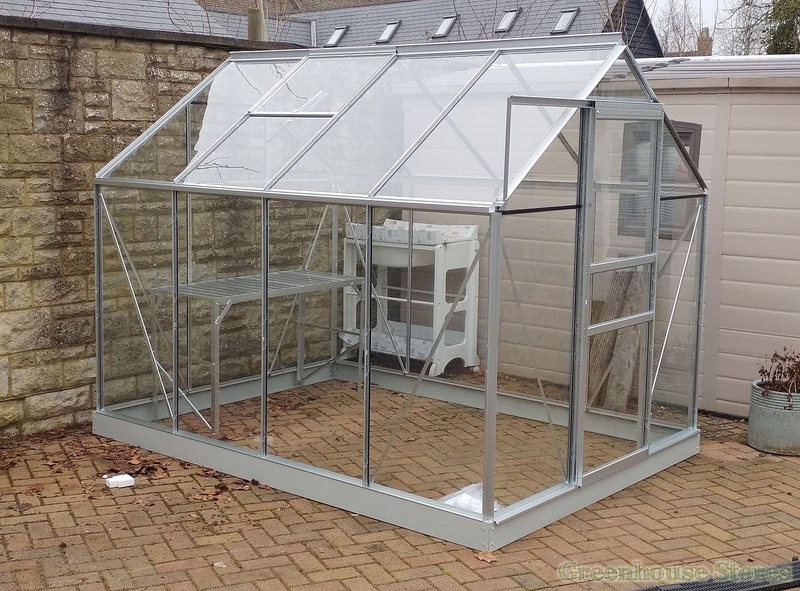 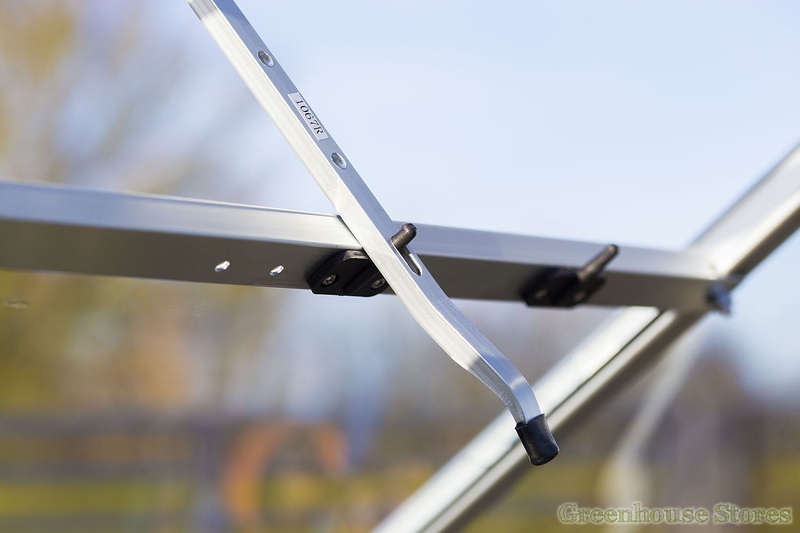 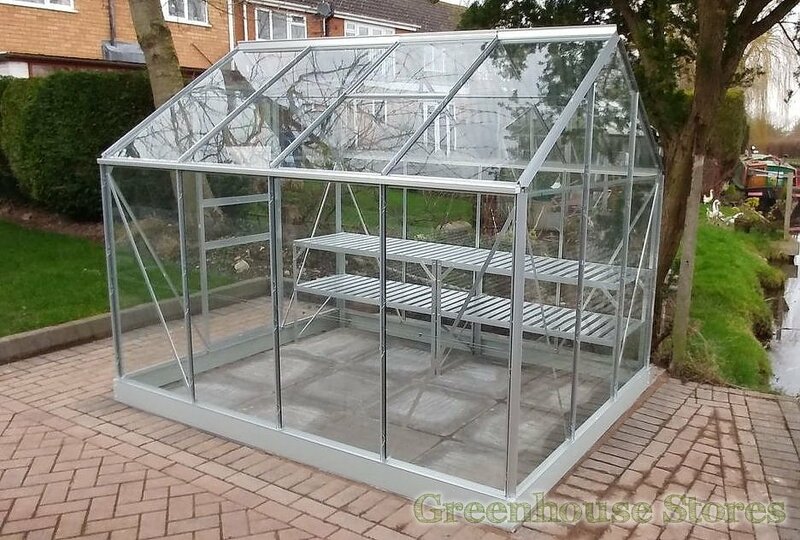 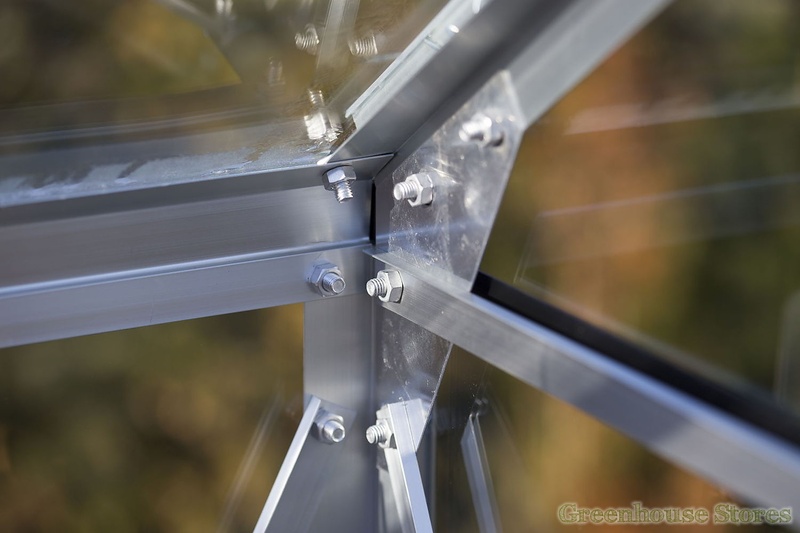 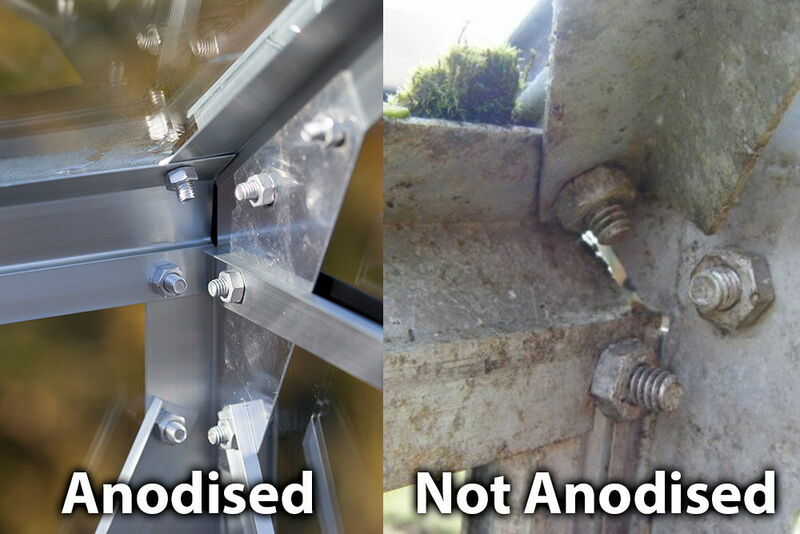 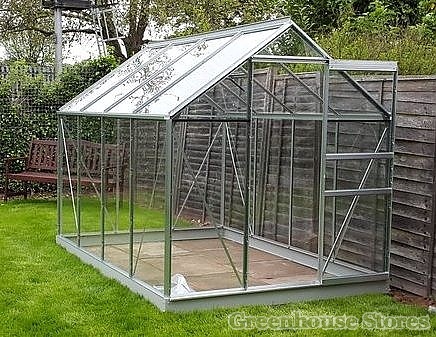 To make this greenhouse really solid we recommend you add a Vitavia steel base, as it keeps the greenhouse square and rigid when erected onto a nice level surface like slabs or concrete. 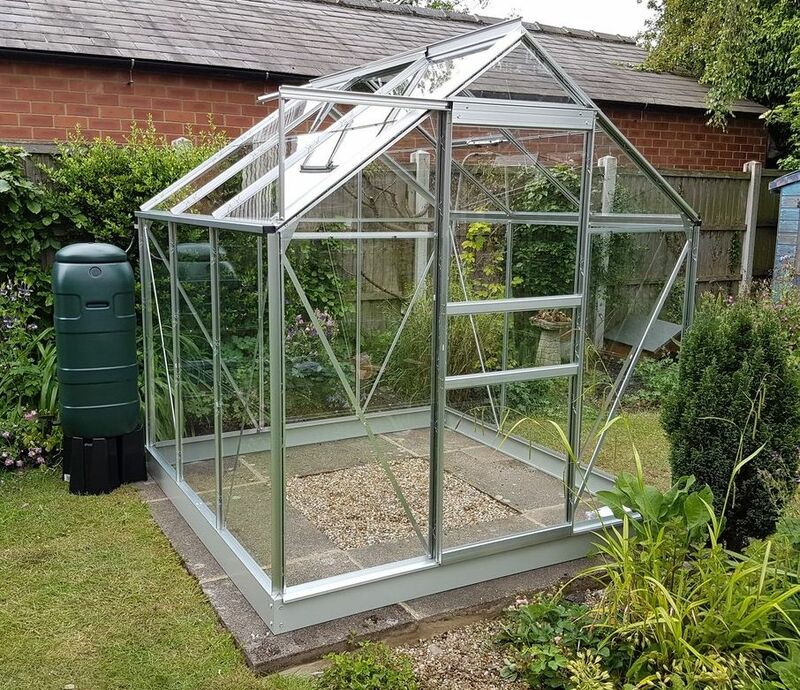 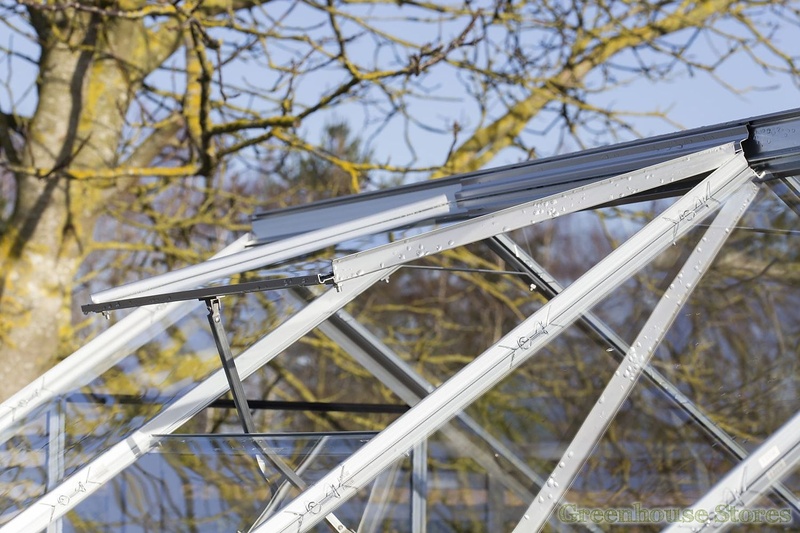 If you plan to erect your greenhouse onto soft ground, Vitavia steel bases have corner posts that you can sink into the earth and then concrete into place once the greenhouse is level.